Ascension Seton Breast Care Center was created to provide convenient and comprehensive care to the women of Central Texas. 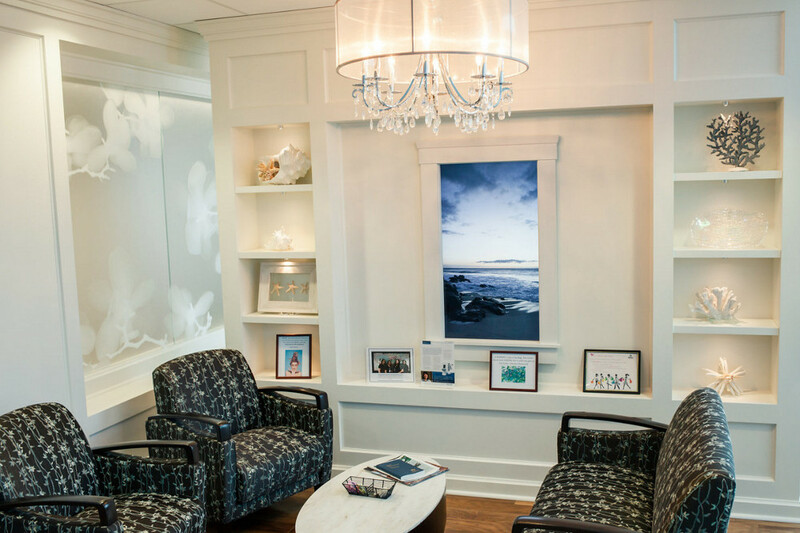 The center includes state-of-the-art imaging technology and, for those who are diagnosed with cancer, the center offers a multi-disciplinary approach to providing personalized treatment and support to patients and their loved ones. We are located inside Ascension Seton Medical Center Austin on the first floor of the west tower. Get directions by using the map at the top of the page or take a tour of our building. Digital 3D Mammography (Tomosynthesis) – This new technology provides a higher quality image, with greater detail, than traditional digital mammography does. As a result, smaller abnormalities are often detected earlier. In addition, the recall rate for additional screening due to questionable results is greatly reduced. Stereotactic Breast Biopsy – 2D digital images are captured from two different angles and analyzed by computer. This technique is able to locate a suspicious area in 3D with a high degree of precision and accuracy. Breast Sonography – Ultrasound is used to distinguish a fluid-filled cyst from a dense mass such as a tumor – without the need for compression. It can also measure a breast tumor, which is extremely important when establishing a personalized treatment plan. Bone Density Scan – This is used to measure bone loss due to osteoporosis. Though unrelated to breast care, the exam is often requested by women. We offer it as an extension of services. Breast 3T MRI – This emerging technology helps to better diagnose those with questionable results from other tests. It is also more effective with dense breast tissue and is recommended for women deemed high-risk based on criteria developed by the American College of Radiology. The center includes relaxing spa-like lounges and waiting rooms as well as private dressing rooms (including some that are plus size) complete with comfy robes. *If women of any age detect a noticeable change in breast tissue at any time, they should contact their doctor right away. Interested in helping support the services at the Ascension Seton Breast Care Center? Please contact Ascension Seton Fund at 512-324-1942. Our center includes a recovery garment boutique with clothing and accessories created specifically for breast cancer patients and survivors. Merchandise includes post-mastectomy garments, lymphedema sleeves and head scarves. The boutique also provides access to wig and prosthetic manufacturers. Online: Schedule your mammogram online now. Phone: To schedule a mammogram, or any of the other services offered at the Ascension Seton Breast Care Center, by phone, please call 512-324-1025. A physician’s order is not required for mammogram screenings. However, we will need the name of your physician in order to send your results. Bone density scans do require a physician order. Hidden Scar Breast Cancer Surgery Now Available at Ascension Seton Medical Center Austin. You have a choice in your surgical treatment. This online tool coordinates care and supports part of our effort to deliver the best possible care with dignity and respect for those we serve. Create a Rally today and let everyone join in celebration of each victory along the way.